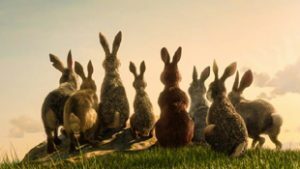 Once again the International Animated Film Society (ASIFA) have released their list of nominees for the 2018 Annie Awards — the Oscars of animation, to many folks. And once again, we’ve had a banner year for animation with Furry content — so there are lots of anthropomorphic movies, TV series, short films, and other goodies among the Annie nominees. 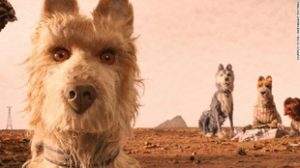 By far the furriest film among the nominees for Best Animated Feature is Wes Anderson’s Isle of Dogs — which is also nominated for Character Animation, Production Design, and Voice Acting (Bryan Cranston as Chief). 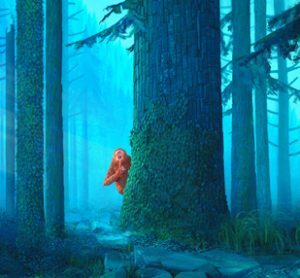 But nominees Early Man, Ralph Breaks The Internet, and even Spiderman — Into The Spiderverse (yes!) had their own Furry content — and each of them are nominated in several categories too. Among the nominees for Best Independent Feature is Tito & The Birds, while one of the nominees for Best Animated Special Production (limited release) is The Highway Rat. England is well-represented in the Best Character Animation in a Live Action Production category (whew! ), with both Paddington 2 and Christopher Robin receiving nominations. In the Best Animated Short category check out Lost & Found by Wabi Sabi Studios, while the brand new Best Virtual Reality category includes Crow: The Legend by Baobab Studios and the game Moss by Polyarc. Over on the television side of things, the category of Best Commercial includes four nominees that are very Furry! The rest of the Television categories include a parade of familiar and new Furry titles, including The Adventures of Rocky and Bullwinkle, Bojack Horseman, DinoTrux, Disney’s Mickey Mouse, Hey Duggee, Hilda, Kung Fu Panda: The Paws of Destiny, Rise of the Teenage Mutant Ninja Turtles, and Tumble Leaf. Needless to say there are too many cool nominations to list them all here, so head on over to the Annie Awards page and check them out for yourself! The Awards will be presented on February 2nd at UCLA. Here’s something interesting and unusual we came across at the the CTN Animation Expo this year. Fox and Chicken is an original animated film created by Space Rabbit Studios — in El Salvador. “Created by a talented team of local artist, with national and international awards, Fox & Chicken is aiming to be the first silent animated short movie done in El Salvador. 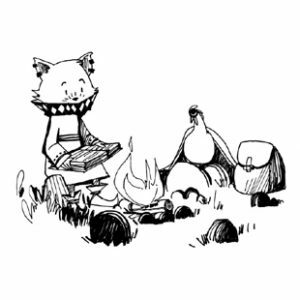 The project has already seen some success through many events at a national level.” According to the web site, here’s who it’s about: “Fox & Chicken is the story of two inseparable friends and their many adventures in their quest for magic. 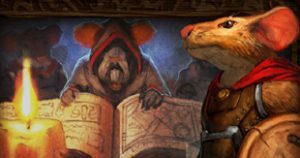 Fox is a young wizard apprentice who has a dream of learning all the magic in the world and to discover the secrets of nature to become a master wizard. Chicken is an unconventional character for their species. She’s brave, curious and adventurous, she never doubts on accompanying Fox in his quest. Now we can see their adventures while we learn about nature and discover the hidden magic in all things.” The web site has a lot more about this and their other projects. You might well remember the name of Mark Dindal: He directed the films Cats Don’t Dance, The Emperor’s New Groove, and Chicken Little. All films with more than a passing Furry Fandom interest, yes? Well Mr. Dindal largely disappeared after that trio of films… that is, until now. 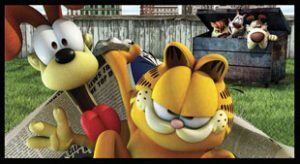 Check out this news from Animation Scoop: “Alcon Entertainment’s new Garfield animated feature has selected its director. The all-CG cartoon feature will be directed by Mark Dindal, it was announced today by Alcon co-founders and co-CEOs Broderick Johnson and Andrew Kosove. Writing team Paul Kaplan (George Lopez) and Mark Torgove (Raising Hope) penned the script. Pre-production it set to begin next month in Los Angeles.” So there you have it. More about a release date when we know! Almost exactly a year ago we told you about a VR film in production called Rainbow Crow, based a Native American legend. Well now it seems that project has changed name and changed format. According to Animation Magazine, Crow: The Legend will premiere as a free-to-view animated feature on Facebook and YouTube later this month. “Written and directed by Eric Darnell [Antz, Madagascar] with input from Native American cultural experts and community leaders, the folklore-inspired tale arrives timed to Native American Heritage Month. 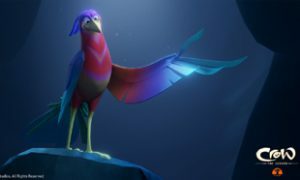 The film features an all-star voice cast including John Legend as Crow, Oprah Winfrey as The One Who Creates Everything by Thinking, Sarah Eagle Heart (Native Americans in Philanthropy CEO) as Luna; 83-year-old tribal elder and lifelong Native rights crusader Randy Edmonds as the Narrator; Liza Koshy (Hulu’s Freakish) as Owl; Diego Luna (Rogue One: A Star Wars Story) as Moth; Tye Sheridan (Ready Player One) as Turtle; and Constance Wu (Crazy Rich Asians, Fresh Off the Boat) as Skunk… Inspired by the classic Native American legend about the origins of the bird, Crow: The Legend respectfully illustrates the sacrifices the bird must make. As the most beautiful animal of the forest, Crow must risk everything to save those around him. With themes of diversity and self-sacrifice for the greater community, Crow demonstrates how one single act of sacrifice can have a profound impact to our world.” You can also check out the official trailer at Animation’s link. The march continues — in seemingly unexpected directions! This showed up in our news feed from The Hollywood Reporter: “Stitch is back. 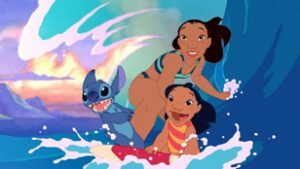 Lilo & Stitch, the 2002 animated movie from Walt Disney Feature Animation, is getting the live-action treatment, The Hollywood Reporter has learned. The studio has hired up-and-comer Mike Van Waes to pen the script for the remake, which will be produced by Dan Lin and Jonathan Eirich of Rideback, formerly known as Lin Pictures. The two are already known in the Disney halls as they are working on the high-profile live-action remake of Aladdin. The original film was written and directed by Dean DeBlois and Chris Sanders, who later found acclaim with How to Train Your Dragon. The Hawaii-centric story told of the bond formed between a lonely human girl named Lilo and a dog-like alien named Stitch, who is engineered to be a force of destruction. Pursuing aliens, social workers and the idea of the bond of a family figure into the proceedings. [In case you forgot the basic idea — ye ed-otter] It is unclear whether the new project, which is intended to be a live-action/CG hybrid, is intended for theatrical release or for Disney’s streaming service that is set to launch in 2019.” Guess we’ll find out soon enough. Now we find out a bit more about Dragonkeeper, a new CGI film in development which we talked about recently. Animation Magazine just gave us an update: “London-based sales company SC Films International has snapped up international rights to Dragonkeeper, an upcoming animated family feature from Spain & China, based on the first novel of Carole Wilkinson’s series. The author is adapting her own text with director Ignacio Ferreras (Wrinkles), Rosanna Cecchini, Pablo Castrillo, and Xiamping Wang. Jianping Li is co-directing with Ferreras. [The] synopsis: In ancient China, dragons were once friends of men, but men’s greed and lust for power ended their alliance, and these wise and magical creatures were hunted down by the Empire. Years later, in a remote fortress, a young slave girl named Ping strikes up an unlikely friendship with Long Danzi, the last of the imperial dragons. 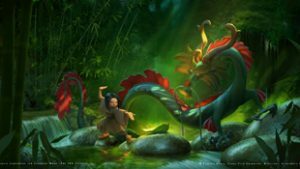 Learning the power of Qi, Ping helps the dragon escape from captivity and together they journey across the Empire in order to save his lineage, chased by the Emperor’s men and pursued by even darker powers… Ilion Animation Studios, the Spanish shop behind Planet 51 and Paramount’s forthcoming Wonder Park, will handle production alongside China Film Animation and Dragoia Media.” Still no word on a planned release date, but at least we know it’s coming along. Stay tuned.